IBD is a Daikin UK Specialist Renewable Distributor and provides full system design and application expertise for the full range of Daikin Altherma air source and hybrid heat pumps as well as solar thermal solutions. These are used together with ground source heat pumps and solar PV renewable energy sources to create fully integrated renewable installations featuring underfloor heating, small duct and conventional air conditioning as well as energy efficient mechanical ventilation and heat recovery solutions for the homeowner. 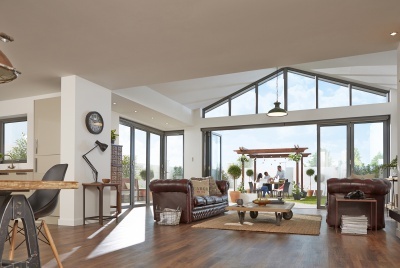 Are you looking for bi-fold doors and windows? 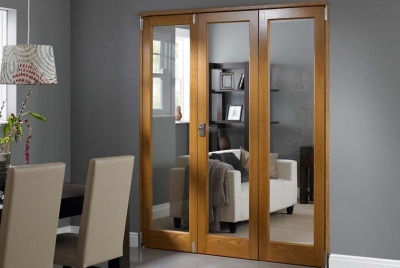 You will need to make the right choice because your new doors will be the centre piece of your home for many years. Outstanding quality, technology and design will be a high priority in your decision. And with Vufold’s affordable prices, why would you settle for anything less? Available to order online in a range of sizes, configurations and designs, our doors and windows would be a stunning and versatile addition to your home. Don’t be fooled by competitor copies. 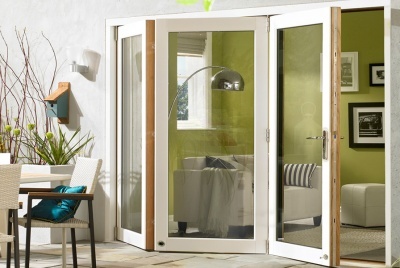 Vufold doors are the original, and the best. You won’t find our unique combination of superb workmanship, best quality materials and extra features anywhere else. As a UK-based family business, trading since 2006, we’re here at the end of the phone to assist before and after you purchase. We design in-house, and craft every door to rigorous quality specifications. High levels of security come as standard, and our fast delivery times mean you could have your doors and windows in quick time. We add extra touches such as finger-tip opening and closing; easy-adjustment fittings, not often seen in aluminium bifold doors and frame sections coated on all edges to prevent water penetration. Vufold doors and windows are designed for UK weather conditions and keep you warm inside during colder months and cool in warmer months. Specific features include thermally-efficient glass, highly-insulated frames, and draught-proof bottom sills. Everything comes ready-glazed, ready to assemble, and complete with everything needed – right down to drill bits. Fitting is so straightforward, many of our customers install the doors and windows themselves. 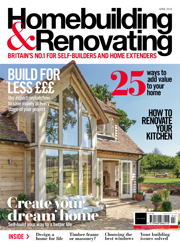 However if you’re not confident in your DIY skills, ask a local joiner or builder. How do you keep your prices affordable? 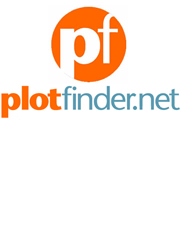 We provide standard sizes, off-the-shelf and we manufacture in high quantities with a well-stocked warehouse. Also, you’re buying direct – no middleman and our products are available to purchase online, therefore viewing and buying can be done anywhere you please. Can I see your Doors and Windows? We have a Showroom at our Macclesfield office or you can visit one of the exhibitions we attend across the country throughout the year. We at Vufold are able to quote for bespoke size doors and windows, just phone us on 01625 442 899 or email us at sales@vufold.co.uk. 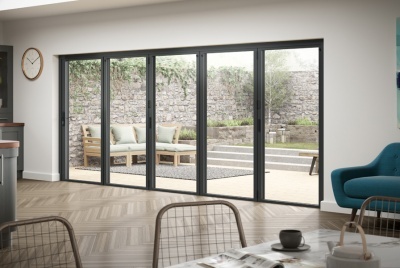 External bi-fold doors – 6 ranges to suit individual needs and tastes, with different construction designs from low maintenance aluminium to a combination of aluminium on the outside and real oak on the inside. 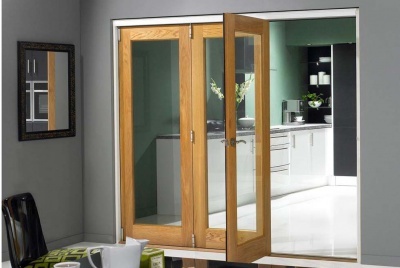 Internal bifold doors – 4 ranges with differing styles and design to fit with your interior requirements. 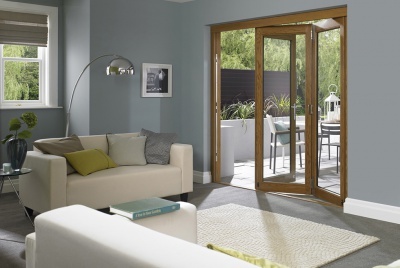 French doors – 5 options which fit with our Bifold door ranges. Windows – 2 ranges which match our Status, Supreme and Ultra Bifold doors to give you a unified and consistent look throughout your home. Blinds – Tailored to fit all our doors, with subtle colour options to enhance any room. 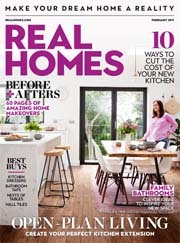 With ten separate ranges complemented by a collection of blinds and accessories, any builder or renovator need look no further and since all products are available to purchase online, viewing and buying can be done anywhere they please. For those that wish to see Vufold’s products before deciding which product to choose and buy, Vufold has a Showroom at its Macclesfield office or they can visit any of the exhibitions that they attend across the country throughout the year. Vufold was formed in 2000 with the first of their unique bi-folding products launched in 2006. 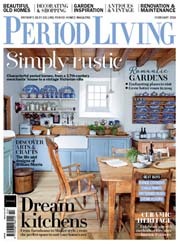 Since then they have developed and added more unique products to cater for all tastes and budgets. 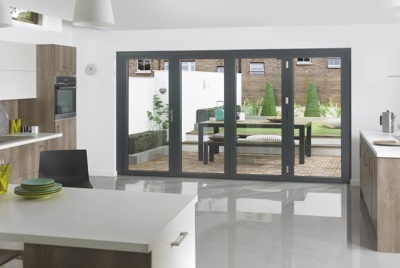 The design, manufacture and construction of all Vufold doors is unique to the company and controlled to very high standards but with a keen eye for new innovative enhancements and products.